(NewsUSA) - Sponsored News - Most parents know how damaging the effects of ultraviolet radiation (UVR) can be to our skin, which is why they dutifully slather sunscreen on their kids during the summer. But one thing that often gets overlooked is protecting their children's eyes. 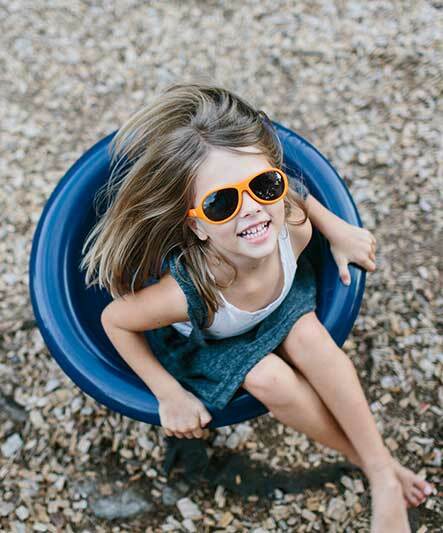 According to vision-care experts, kids receive three times more UV exposure than adults annually, yet less than 30 percent of parents currently protect their children's eyes with sunglasses. The reason for concern is that children and adolescents are particularly vulnerable to the sun's rays because their ocular lenses aren't mature enough to filter UV light as effectively as adults, causing damage to the retina. "Everyone buys into what happens to your skin when it comes to sun damage, but many parents are really surprised to learn about the cumulative UV damage to the eyes," Dawn Hartman, an optometrist at Columbus Ophthalmology Associates in Columbus, Ohio, told The Wall Street Journal in an interview. But the right sunglasses can help, as parents become more aware that protection from the sun isn't just skin deep. Babiators, for instance, is a brand that offers safe and durable sunglasses for babies and kids. They protect them from harmful rays by offering 100 percent UVA and UVB protection, flexible frames and shatter-resistant lenses in stylish colors and patterns. In addition, Babiators are backed by a one-year "Lost & Found Guarantee" -- if the glasses are lost or broken in the first year, they will be replaced for free. "We created Babiators because we know that habits form at a young age and we wanted to promote a healthy habit of wearing sunglasses to help protect children's eyes," Carolyn Guard, co-found of Babiators, told The Optician in an interview. "Not only do these glasses shield little ones from UV rays, they are also fun, unique and vibrantly colored so that children love wearing them and parents can rest at ease knowing they are doing their part to promote healthy vision." Experts say that risk is greatest to the eyes between 8 a.m. to 10 a.m., and from 2 p.m. to 4 p.m., because during those times, UV rays come from different angles and eyes receive nearly double the amount of UV than during midday hours. For more information, please visit www.babiators.com. It's never too early to start wearing sunglasses.